Outdoor all weather wicker is unlike natural wicker, our all weather wicker is stain, water, uv, crack and split resistant. Powder coated aluminum frames and 100% spun polyester cushions. Mildew and fade resistant fabric. 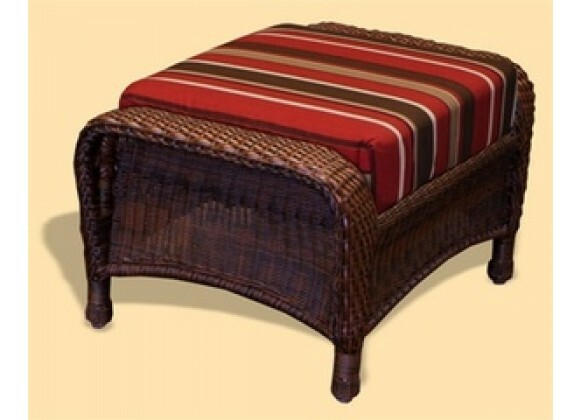 Java colored wicker. 3 year limited warranty. Unlike natural wicker; this all weather wicker is stain; water; UV; crack and split resistant. Available in 6 different cushion patterns. Width: 30" - Height: 19" - Length: 15.5"